35m², spacious, functional, 2 bedrooms, garden, garden furniture, well equipped, comfortable, nice. A warm welcome will be reserved for you in a relaxed atmosphere and you will have a set of services and activities to entertain you. 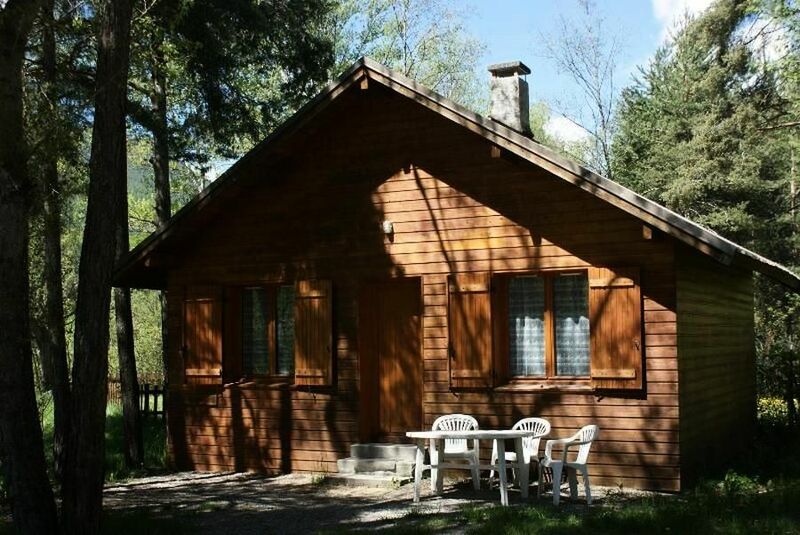 Chalet of 35m² for 4 people composed of a living room, a kitchenette, a bedroom with a double bed (140cm), a second bedroom with two single bunk beds, a bathroom and WC separated. The chalet is composed of a kitchenette equipped with crockery, 2 hotplates, a fridge, a sink, an electric mini-oven and a coffee maker. The green area includes a garden furniture. Electric radiators, pillows and mattress pads are included in the rooms.